Brodynt Will Be at MWC’19. Find Us in Our Booth! 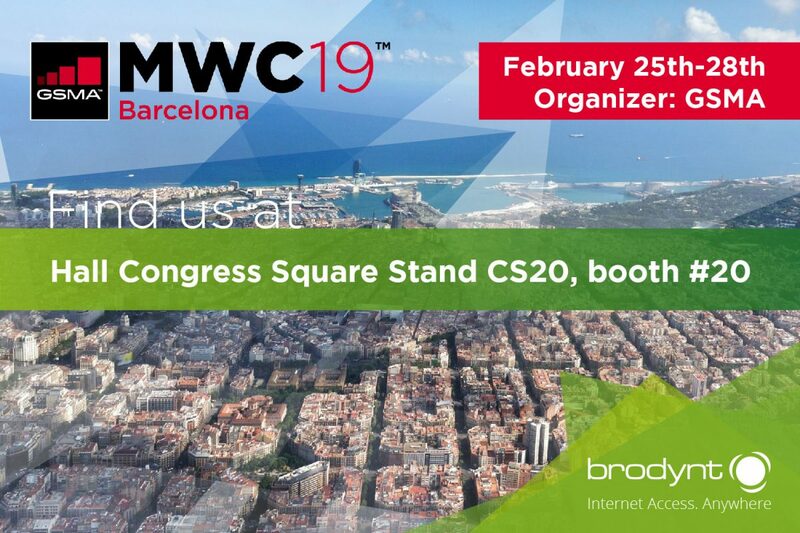 Although the 2019 edition of the Mobile World Congress (aka MWC) in Barcelona is not the first time that Brodynt has a presence in it, this year the Brodynt team will be attending visitors with its own booth! This is a great chance to meet our reps and learn more about how Brodynt can help with your company’s Internet connectivity needs around the world. MWC Barcelona (formerly Mobile World Congress) is the largest mobile event in the world, bringing together the latest innovations and leading-edge technology from more than 2,400 leading companies, with a highly-rated conference programme assembling today’s visionaries to explore the hottest topics influencing the industry. The event also features extensive learning opportunities from dozens of partner-led programmes, GSMA seminars, summits and more. It will take place on February 25th-28th, 2019. You will find Brodynt’s booth in Hall Congress Square Stand CS20, booth #20. Feel free to contact us for details. We will also be present at the Brokerage Event. Be sure to contact us there to arrange a meeting.